DD Freedish's completed 34th e-auction - 3 TV Channels renewed successfully. Doordarshan successfully conducted 34th online e-auction for filling up of vacant non-news and current affairs category DTH slot for the DTH service of Doordarshan's DD Free dish on 9th May 2017 (Tuesday). Only those private satellite TV channels which are permitted by Ministry of information and Broadcasting under Non-news & current affairs TV channels category can submit their application for participation in the 34th e-Auction. 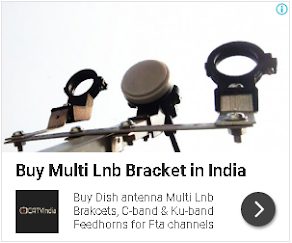 Here is DD Free dish official press release which can be found on DD India website.